Butlers Sink, looks great on traditional timber stand. Honed or polished exterior with highly polished rim and interior. Centred drain. 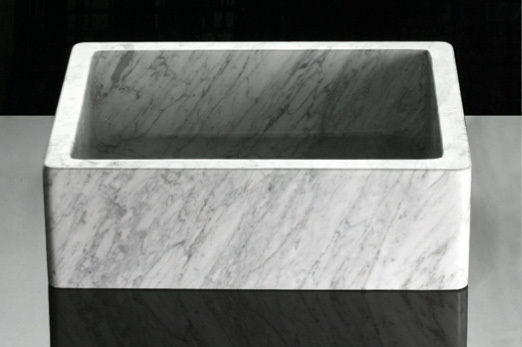 Shown in Carrara Marble.